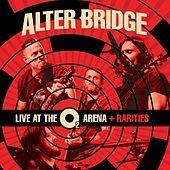 Appearing almost simultaneously with Creed frontman Scott Stapp's announcement that he was leaving the band, Alter Bridge's debut album registered not as the intended side project for Creed's other members, but an announcement of a new direction for the players. Guitarist Mark Tremonti and drummer Scott Phillips welcomed one-time Creed bassist Brian Marshall back into the fold with newcomer (and former Mayfield Four singer) Myles Kennedy. The immediate result was a hit single, "Open Your Eyes," from One Day Remains. 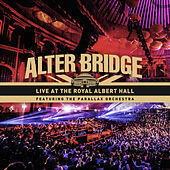 While the album went gold within weeks of its release, Alter Bridge have yet to find the massive appeal of the 30 million-selling Creed. The new band's heavier, slightly freer, definitely less melodramatic style speaks well of its choices so far, though. (Kennedy must be counted among those choices.) The single's Pearl Jam-like vibe allows Creed fans an entry while making steps toward new territory.